It has been really cold here lately in Minnesota. 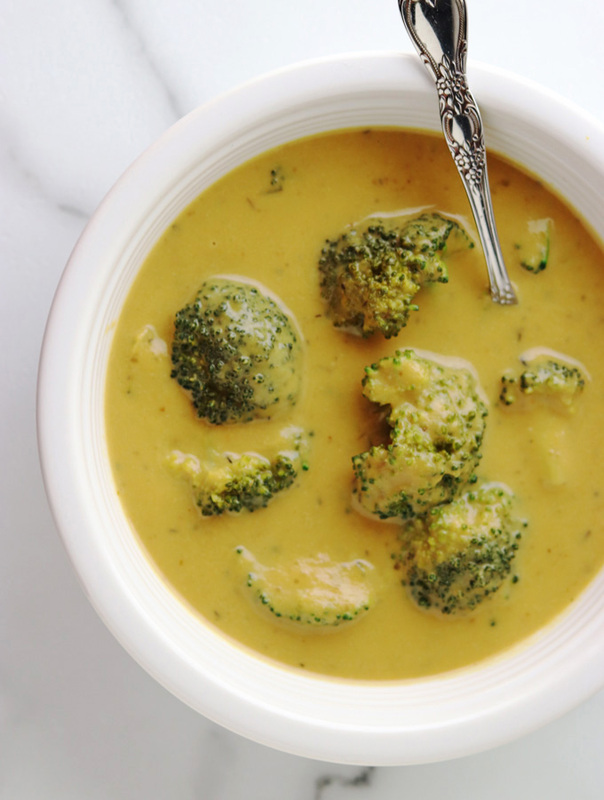 This crisp and wintery weather has me wanting to hibernate inside with a big bowl of dairy-free Broccoli Cheese Soup. What can be more comforting than a hot bowl of soup on a snowy day! I know that’s what I crave! 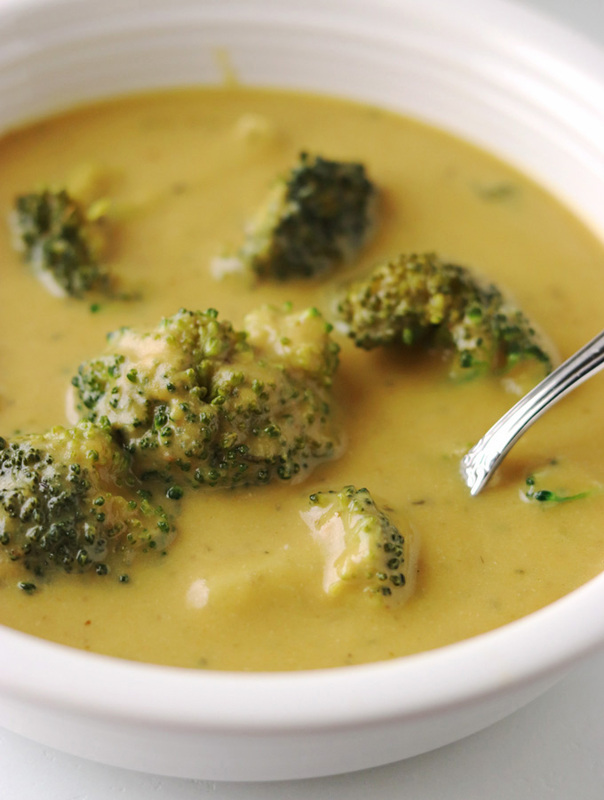 If you are craving that same warmth and coziness, this soup is just what you need too. Most creamed soup recipes call for CHEESE (of course! ), or use flour as a thickening agent. 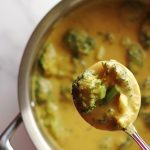 My Broccoli Cheese Soup; however, uses pumpkin, coconut milk and nutritional yeast to mimic that cheesy creaminess and wholesomeness. Adding bone broth provides essential amino acids and collagen, which promote healthy skin, hair, nails, bones, and joints. Fresh, tender broccoli florets incorporate a burst of color and an abundance of flavor and nutrients. 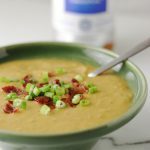 The fact that this soup is dairy-free, makes it a nutrient-dense version of a cheesy American favorite. 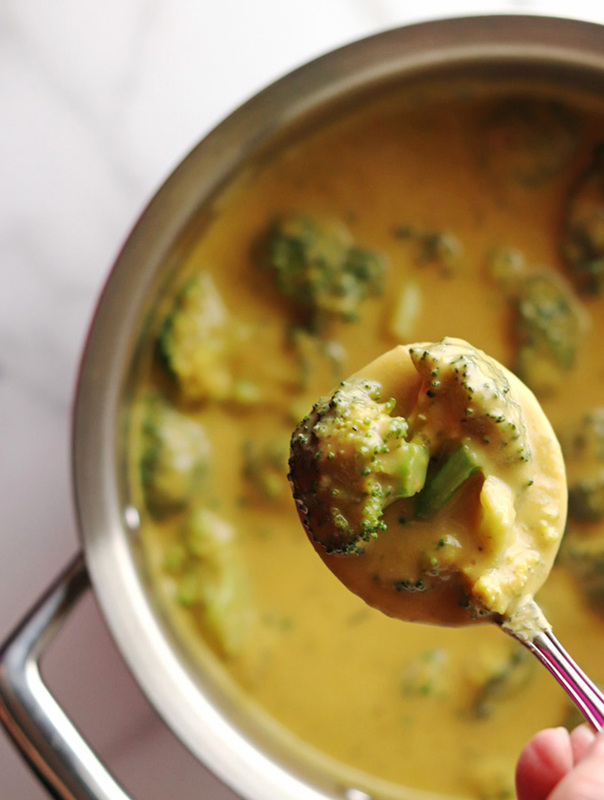 Combine pumpkin puree, coconut milk and bone broth in medium size pot. Cook on medium heat until blended to a creamy consistency. Add avocado oil, nutritional yeast, sea salt, onion powder, garlic powder, thyme and sage. Stir periodically. When mixture starts to boil, whisk in arrowroot powder (1 tablespoon at a time to prevent clumping). Add broccoli florets and cook until softened (approximately 5 - 7 minutes). I think your post is awesome, Cheers. This turned out great!! My 6 year old & husband already approved for me to make this again! 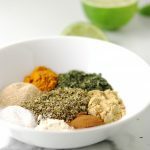 Thank you for being so adventurous to try and combine, what feels like to me, such an odd combination of wholesome ingredients to make such a healthy soup! Seriously, I never wouldve thought to put coconut & pumpkin together, and this is my first go with nutritional yeast. Oh, and FWIW, I didn’t have arrowroot on hand, so I substituted 1.5 Tablespoons cornstarch, and I think it worked well. I’m sure that’s not AIP compliant, but dairy-free was my goal with this recipe. So happy the whole family can enjoy this recipe! More creative recipes to come! Thank you for this recipe! I haven’t had broccoli “cheddar” soup for so long. This is so tasty! 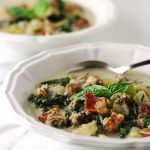 What a great satisfying and filling soup! You would never guess pumpkin was the base! This freezes great for work lunches! My whole family loves!